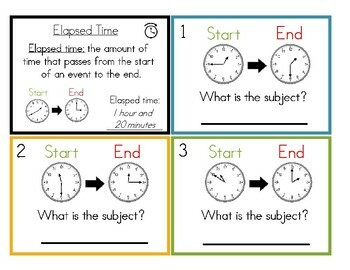 These level 3 task cards build on the skills learned in the level 1 & level 2 elapsed time task cards also in my store. 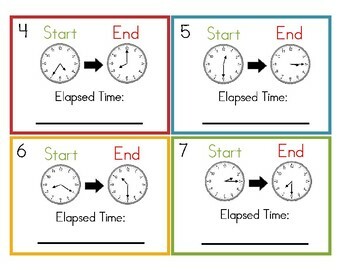 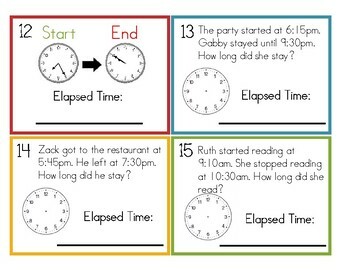 Level 3 asks students to determine elapsed time to the 5 minute intervals. 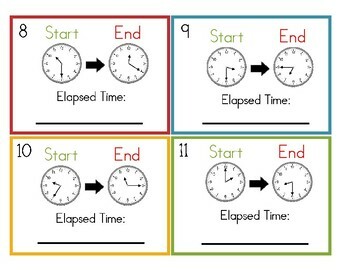 Included in this download are 20 elapsed time task cards, a label, directions for use, an answer sheet, and answer card.